MommyLawyer: I love my jobs! I love being a homeschool mommy. I relish the thought of teaching my children something new, as every parent does (or, at least, should). But I feel as though I'm even more blessed because I've taken on the responsibility of their education. Of course, anyone would feel proud when another adult praises their child for reading well or excelling in math. I am even more proud because I know I introduced, developed, and honed those skills that are being praised! I also love being an attorney - and I don't know many who do, including my husband. I'm very fortunate in my role at my office. I work part-time and I have very little stress at my job; but I'm able to interact with clients and do one of the things I love most: research. I love research - any kind of research. I'm known for popping open a window to Wikipedia if something comes up at the office and someone needs info fast. Being a lawyer is not something I dreamed of as a child. I actually made the decision after speaking to one of my undergrad professors who pointed out that I could get a Ph.D. in History, but there's no guarantee I would secure a job. So, law school seemed like a better option - and that's what I did. Being a wife and mother is what I dreamed of while growing up. I knew I wanted to marry a man who would want as many children as I want. I knew I wanted to be a loving, attentive, active mother. My job at the office, which I am fortunate enough to enjoy, allows me to be the kind of mother I dreamed of being as a child. I'm happy to say: I'm living my dream! I love this post and the fact that you love your job so much!! I am fascinated by your line of work! Perhaps because a dear friend can't get a family lawyer (pro bono) locally and is in a family crisis? 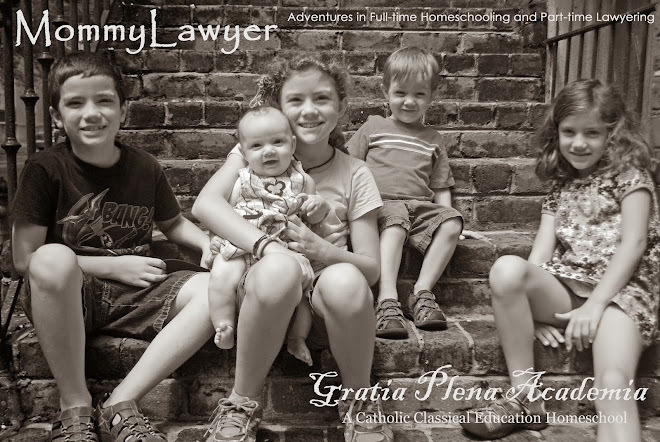 Even before that happened, I would see your name on WTM and think..."wow, that's a unique opportunity--lawyering and homeschooling"...kudos to you! !